It's true, we've won 39 of our matches against Leicester. Losing 27 and drawing 16 makes these figures one of the happier ones against teams now playing in the top flight. It wasn’t the most promising of starts, the heavens opened as we splashed our way from Putney High Street and the breeze off the river as we walked through Bishops Park, was like an ice sword slashing at exposed parts of our faces. Not good news for one of our tribe who came expecting a fine winter evening down by the Thames and was saturated within a minute. The overall feeling of pessimism wasn’t lifted when the game kicked off to the accompaniment of the driving cold rain, incidentally changing to a Yule-like snowfall as the half progressed. 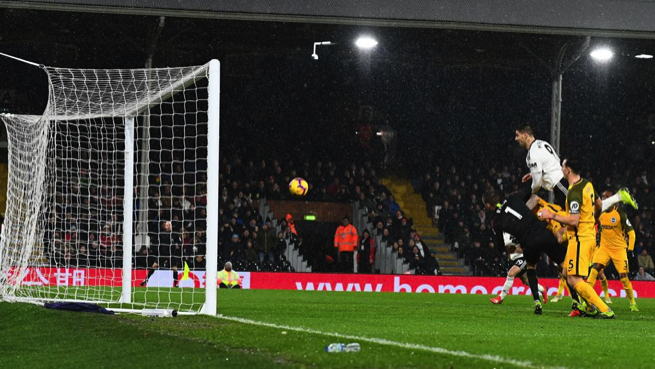 In truth, in the opening minutes, despite seeing a lot of the ball, Fulham were tentative, too deep and all over the place, Brighton were lively, energetic and clearly up for it, more importantly, they passed to each other and looked a right handful. Our boys were still giving the ball away all too often and far too easily, although we made progress towards the Brighton End, we weren’t having any real attempts at goal. Then Brighton made inroads towards our area and in a seemingly innocuous attack were suddenly swarming all over the defence, Montoya shimmied unchallenged down the right and crossed tantalisingly towards the centre of our goal. Murray materialised from another dimension and ‘Ping!” the ball was in the back of the Fulham net, just three minutes gone. Not much changed following the restart, Fulham were pegged back and despite much possession, rarely looked likely to leave the White’s half. On a positive note, Seri was already having a much better game and as his confidence increased so did his touches and he was getting more of a grip on the game than we have seen since the very early couple of games. Despite these encouraging signs, on 17 minutes, a repeat performance of the Brighton goal panned out and again it was Murray, allegedly one of Jokanovic’s early targets and one which the overlords are said to have refused to sanction, leading to the start of the thundercloud surrounding Slav’s tenure at Fulham. He struck a right footed flick, meeting a ball from Groß who had mistimed a spectacular bicycle kick attempt from an Odoi clearance, straight to the grateful Murray, 0-2. Ten minutes later, Claudio took Tim Ream off and brought in Tom Cairney, this proved to be a telling substitution as Tom gently eased into his familiar calm and dominant midfield role, the space accorded to Jean Michaël Seri allowed him to step up a gear and he started to relish his role, he was breaking up play and making tackles as well as showing some lovely levels of skill and making decisive passes more and more as the half headed towards the whistle. Sadly, despite Tom’s presence, we still looked to be on a hiding to nothing. Ryan Babel, was looking eager on his second outing and demonstrated that is is a useful team player, this was not encouraging from an offensive viewpoint as he was battling deep in the midfield and defence more than terrifying the Brighton defence which is where we really needed him. I like Ryan and I bet Mitro does, he’s a great strike partner and makes very intelligent runs and his positioning is superb. The downside for us was that we were playing so deep, that our strike force was being left totally out of the game. 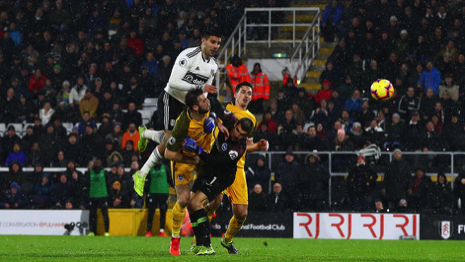 With 15 minutes remaining, Babel began a surge towards the Brighton goal, following a passage of decent passing and possession, he bashed an accurate 30 yarder that was pushed wide of the bottom right corner of the goal by Mat Ryan in the Brighton goal. With things looking slightly better for the Whites, with seven minutes remaining of normal time, Babel made a pass to Schürrle who was unmarked 20 yards out from goal on the Brighton right, André produced his expected one flash of excellence per game and steered a curling fast prod at goal which looked certain to beat the goalie, Duffy reached the ball and diverted it behind for a corner, this was better but we were still deep in the messy stuff. Sure enough, Brighton went down to our end and the ball cannoned off our crossbar, in fact, when the whistle was blown, we were indeed fortunate not to have been five goals down, as there had been other near misses from the Seagulls. When the second half began, we Fulhamites watched agog at the transformation, this already had the appearance of another game of two halves. And so to our astonishment and delight, this proved to be the case in the 47th minute when the excellent Calum Chambers (another player we must seek to sign permanently with Ryan Babel) made a super run into the danger area in support of an invigorated Fulham lead by Cairney and Seri, he rifled a right foot volley up into the corner of the net, releasing a massive wave of relief, astonishment and joy. 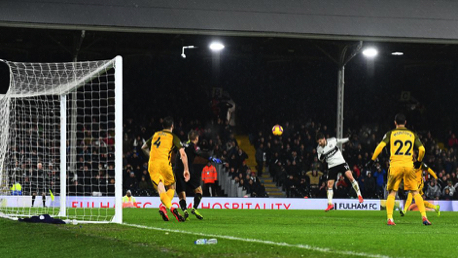 With an almost messianic transformation the match became as one sided in Fulham’s favour as the first half had been Brighton’s supremacy, 13 minutes after the restart we amazingly pulled level. With Cairney and Seri pulling the strings we were all over Brighton now and pushing them back, a period of all-out attack saw Babel gain possession, put in a delicious , tempting cross which eventually boobed up for a leaping Mitrovic to bang home with his forehead, beating all comers into the mud in the process, unbelievably we were level, now the rejuvenated Cottage crowd smelt an unlikely victory. I can’t really add more, we were absolutely brilliant, Mitro, Cirney, Sess, Chambers, Vietto and the rest were heroes torn from the pages of the latter part of last e=season and the next two goals more than deserved. I’m far too emotional to say any more.